Call or Email for a Evaluation. Bo Nose training is 100% guaranteed. Specializing in Obedience, Social Skills, Behavior Modification, Off Leash Control and much more. Crystal McClaran has been professionally training dogs for 20 years. She specializes in Aggression, Behavior Modification, High Drive and Working Breeds. Working with her Balanced Pack of dogs she is able to speed up a dogs rehabilitation and training success. All Pet Parents will graduate as Pack Leaders walking out feet before paws. All Classes including drop off or board and trains require owners to also learn your newly educated dogs commands. Dog Parents must also commit to learning. Adult and Puppy Boot Camp, bring your dog to enjoy daycare and training at the same time. Daycare Boot Camp is a 3 week program. 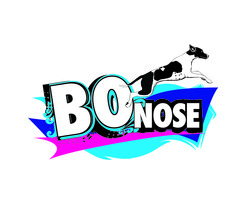 Drop your dog off at Bo Nose twice per week for three weeks. This package is $400. Once you have completed Daycare Boot Camp it is just $40 per day for continued training and socialization. Regular Daycare is also available for $20 per day. Private Sessions, taught one on one in a private setting working with owner and dog. These sessions teach Basic-Advanced Obedience, Distractions, Behavior Modification, Off Leash Control, On and Off Leash Manners, Tricks and AKC Canine Good Citizens Please call for evaluation and pricing.